Succulents. They're everywhere, man! It seems that every time you turn around, there's succulents. They're invading our artwork, our homes even our restaurants and clothing! 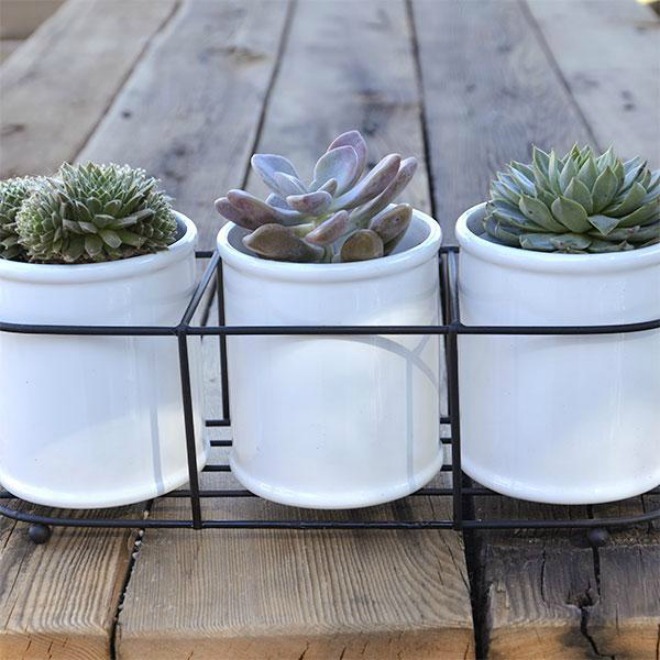 Jump on the trend with this fab succulent planter from JP Digs & Co. Succulents, the non-spiny cousins of the cactus family, are easy to grow and care for. They actually prefer a little neglect, so they're perfect for the beginning gardener, or the forgetful one!